Picture - A F3H-2 Demon armed with missiles. The McDonnell F3H Demon was a subsonic swept-wing United States Navy carrier-based jet fighter aircraft. After severe problems with Westinghouse J40 engine that was ultimately abandoned, the successor to the F2H Banshee served starting in 1956 redesigned with the J71 engine. 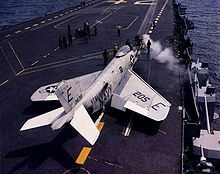 Though it lacked sufficient power for supersonic performance, it complemented daylight dogfighters such as the F8U Crusader and F11F Tiger as an all-weather, missile-armed interceptor until 1964. It was withdrawn before it could serve in the Vietnam when it, and ultimately also the Crusader, was replaced by the extremely successful F4 Phantom. McDonnell's Phantom, which was equally capable against ground, fighter and bomber targets, bears a strong family resemblance as it was itself conceived as an advanced development of the Demon. The supersonic USAF F-101 Voodoo also retained much of the Demon's layout. Development work began in 1949, using a swept wing from the start rather than adapting a straight-winged design as was done with the Grumman F9F Panther. 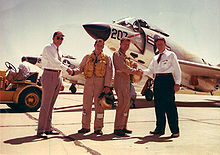 A competing contract was also awarded for the delta wing F4D Skyray. The Skyray, with a top speed of 722 mph, would become the Navy's first fighter to fly supersonic in level flight, while the Demon would never reach that level of performance. Departing from its tradition of using two engines, the Demon would be McDonnell's only single-engine carrier-based fighter, adopting under some Navy pressure to use the Westinghouse J40 engine. That engine was being promoted by the Navy for its next generation of aircraft, and was to have thrust of over 11,000 lbf (49 kN)-three times that of the engines in the Banshee. 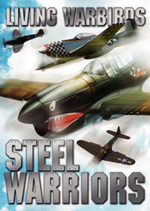 It was the first swept-wing design produced by McDonnell and among the first U.S. aircraft to have missile armament. The Navy desperately needed a high performance fighter to meet the challenge of the swept-wing MiG-15 encountered over Korea. Production of the F3H-1N was hastily ordered even before the first flight of the XF3H-1 prototype on 7 August 1951 by test pilot Robert Edholm. The first test flights of the operational design were well after the Korean War in January 1953. The engine was a major disappointment, producing only half of the expected power. Worse, it was temperamental and unreliable. Of 35 F3H-1N aircraft flown with the J40 engine, eight were involved in major accidents. 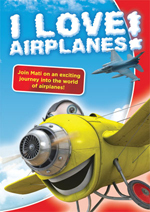 The J40-engined aircraft were grounded and a new engine was sought. The proposed F3H-1P reconnaissance version was never built. The best alternative was the Allison J71 engine which was also used in the B-66 Destroyer. Subsequent F3Hs with this engine were designated the F3H-2N. Use of this engine required an enlarged wing and redesigned fuselage. In service, the J71 proved problematic, providing insufficient power for an aircraft of the Demon's size. The engine also suffered from frequent flameouts and compressor stalls. The first Demon with a J71 flew in October 1954. Another significant problem was the reliability of the ejection seats: initial versions were found to be unreliable and were eventually replaced with Martin-Baker ejection seats that were becoming the standard Navy seat of choice due to their higher performance at low altitude and better reliability. Picture - F3H Demon delivery. On the right, Wally Schirra shakes hands with Dave Lewis. 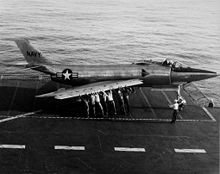 Despite the problems, the Navy ordered 239 F3H-2s, and the first were deployed in March 1956. 519 Demons were built up to the end of production in November 1959. It was not the Navy's first all-weather interceptor with radar (the AN/APG-51 air interception set was used first on the F2H-4 Banshee). The F3H-2 Demon had the AN/APG-51A, later upgraded to the 51-B version with a tunable magnetron then on to 51-C with better counter-measures in the receiver. The F3H-2N's standard armament was four 20 mm (.79 in) Colt Mk 12 cannons. In later years, the upper two cannons were often omitted to save weight. Later models, redesignated F3H-2M, were equipped to fire the Raytheon AAM-N-2 Sparrow and later the Sidewinder air-to-air missiles. Deployed aircraft carried both types of missiles, the Sparrow on the inboard rails and the Sidewinder outboard. Cannons were not used in carrier air defense applications, but they were installed and armed when situations (such as the Cuban Missile Crisis) dictated, and where the aircraft might be deployed against surface targets. A reconnaissance version, the F3H-2P, was proposed, but never built. 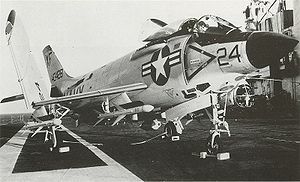 It remained the Navy's front-line fighter until 1962, when it was succeeded by the F-4 Phantom II (which was a development of a proposed "Super Demon", a larger and much heavier version of the F3H). Developed during the Korean War to counter the MiG-15, it did not claim any aerial victories with missiles or dogfights, although it flew over Lebanon and Quemoy in 1958. In 1962, the F3H was redesignated F-3. The F3H-2N became the F-3C, while the F3H-2M became MF-3B and the F3H-2 simply F-3B. The last Demon-equipped squadron, VF-161 'Chargers', traded their F-3s for F-4 Phantom IIs in September 1964. Due to excellent visibility from the cockpit, the Demon earned the nickname "The Chair". Demon pilots were known colloquially as "Demon Drivers" and those who worked on the aircraft were known as "Demon Doctors". The unfavorable power to weight ratio gave rise to the less flattering nickname "lead sled" sometimes shortened to "sled". XF3H-1 Prototypes. Two built. F3H-1N Single-seat fighter version. This was the first production model. F3H-1P Proposed reconnaissance version. Never built. F3H-2 Single-seat strike fighter version. Resignated F-3B in 1962. F3H-2N Improved single-seat fighter version. Redesignated F-3C in 1962. F3H-2M Single-seat fighter version. It was armed with four AIM-7 Sparrow air-to-air missiles. Redesignated MF-3B in 1962. F3H-2P Proposed reconnaissance version. Never built. F3H-3 Proposed version. Never built. Elward, Brad A. and Peter Davies. US Navy F-4 Phantom II MiG Killers 1965-70, Part 1 (Osprey Combat Aircraft). London: Osprey Publishing, 2001. 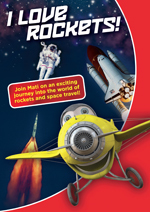 ISBN 978-1841761633. 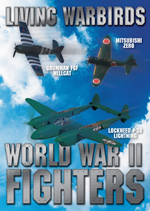 McDonnell F3H Demon Pictures and McDonnell F3H Demon for Sale.